Bryn Mawr Dental Implants | Bryn Mawr Periodontal Associates, Ltd. Dental implants are the most advanced treatment to replace missing teeth. In addition to their strength, natural look, and longevity, dental implants can be used to replace a single tooth, several neighboring teeth, or a full arch. Our Bryn Mawr dental practice offers dental implant placement and restoration to return function and beauty back into your smile. 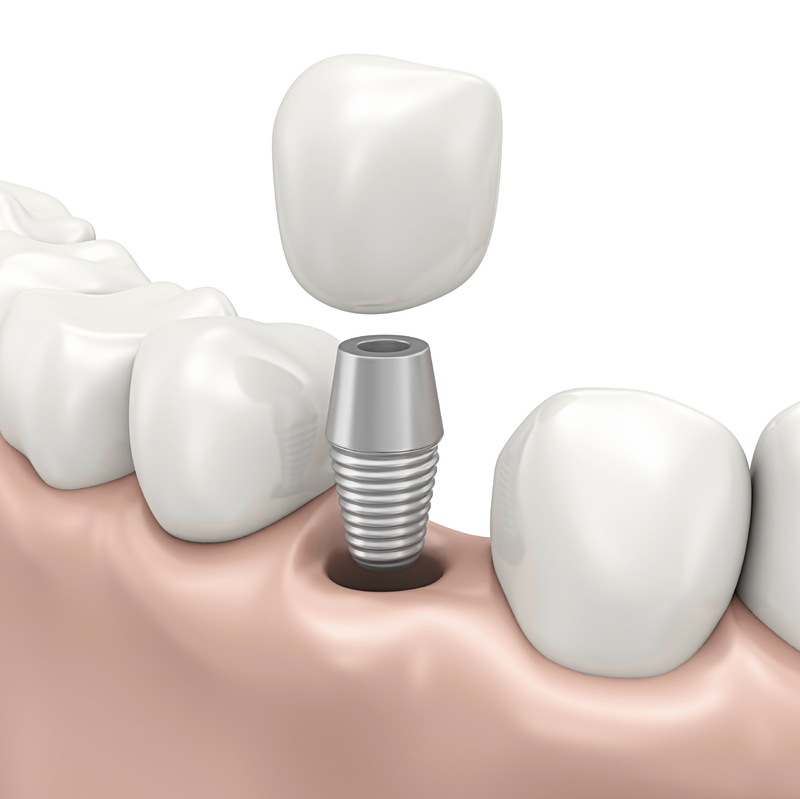 Dental implants are titanium posts that are placed directly into the jawbone. Through a process called osseointegration, the posts fuse to the bone to create a stable base for your new tooth or teeth. A single crown will sit atop an abutment which is securely fastened to the implant post. The abutment will keep the new tooth securely in place and make for easy restoration when needed. A dental implant acts alone and supports the integrity of neighboring teeth similarly to a tooth’s natural roots. It is important that the there is a healthy foundation to place the implants into. Some patients require a bone and/or gum graft to create an optimal environment prior to receiving dental implants. Our Bryn Mawr periodontists thoroughly examine oral health conditions and will design a unique treatment plan to promote long-term results. There’s nothing like a bright, beautiful smile to boost your confidence. In addition to the many cosmetic benefits of dental implants, you’ll be able to enjoy all your favorite foods again. Say goodbye to goopy adhesives and say hello to lasting results you’ll love! To find out more about dental implants and if you qualify, contact Bryn Mawr Periodontal Associates at 610-525-8485 to schedule your appointment, or send us a request through our website.